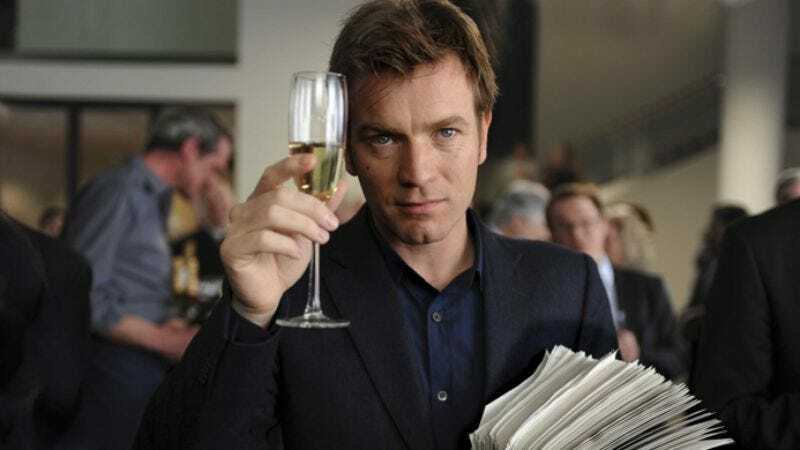 Unable to resist the lure of literary pedigree and an all-but-guaranteed Emmy nod just for showing up and speaking audibly in English, Ewan McGregor has joined Dianne Wiest and Chris Cooper in HBO’s The Corrections, its Noah Baumbach-directed adaptation of the Jonathan Franzen novel. McGregor will play middle child Chip, a Marxist former professor who loses his job thanks to an affair with a student and winds up working for a Lithuanian crime boss, as have so many academics in this damned economy. Should the pilot go to series—and unless Baumbach blows $20 million on a dinner table carved from the ivory of endangered elephants or something, that seems like a given—this will be McGregor’s first television role since his guest appearance on ER in 1997, a part that also earned him an Emmy nomination just for showing up. Now producers just have to round out the family with other actors who like Emmy nominations.